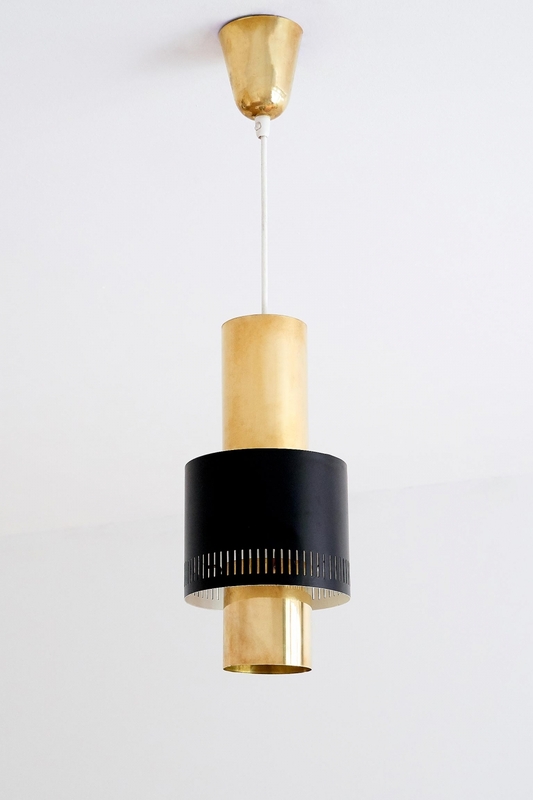 A rare brass pendant designed by Paavo Tynell and produced by Idman in the early 1950s. This particular model 9085/ K2-51 was also one of the designs used for Tynell’s Finland House collection. 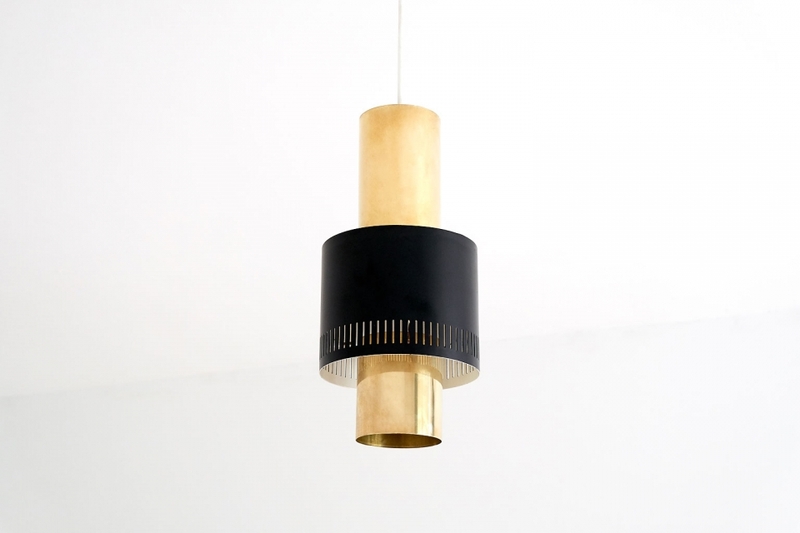 The brass cylinder appears to float in the black metal sleeve, which creates an intriguing three-dimensional effect with soft, direct and indirect lighting. The lamp is in very good original and fully working condition and is stamped with the manufacturers mark “Idman”. 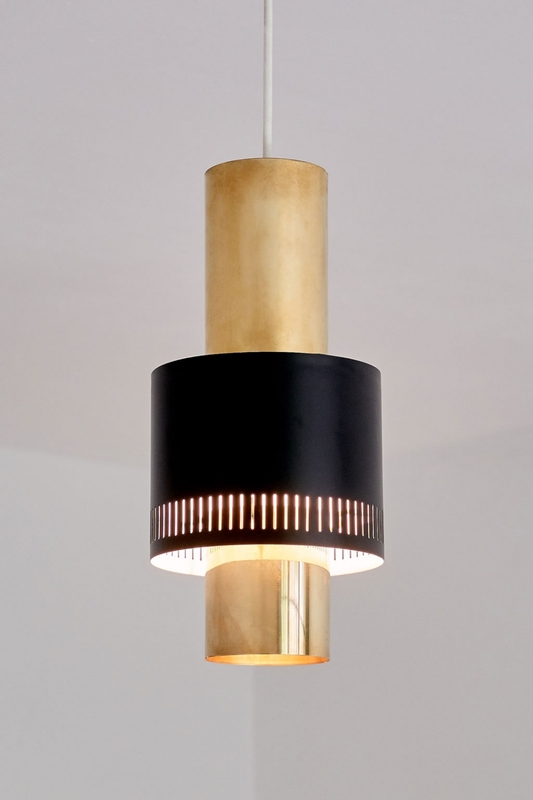 Bibliography: The Finland House Lighting catalogue, page 14, model 9085.